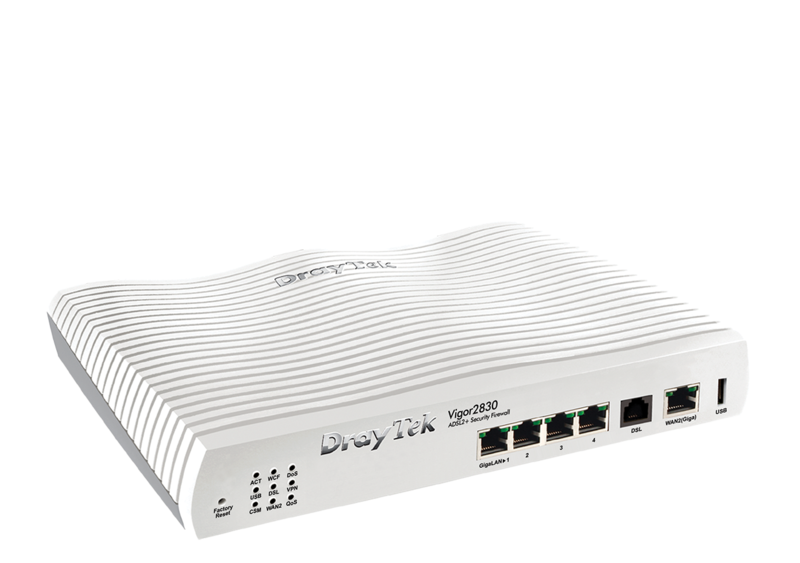 The Vigor2830 Series (Version 3.6.3) supports the SNMPv3, which is more secure than SNMPv2 through the encryption method (support AES and DES) and authentication method (support MD5 and SHA) for the management needs. The “User Management” implemented on your router firmware can allow you to prevent any computer from accessing your Internet connection without a username or password. You can also allocate time budgets to your employees within office network. 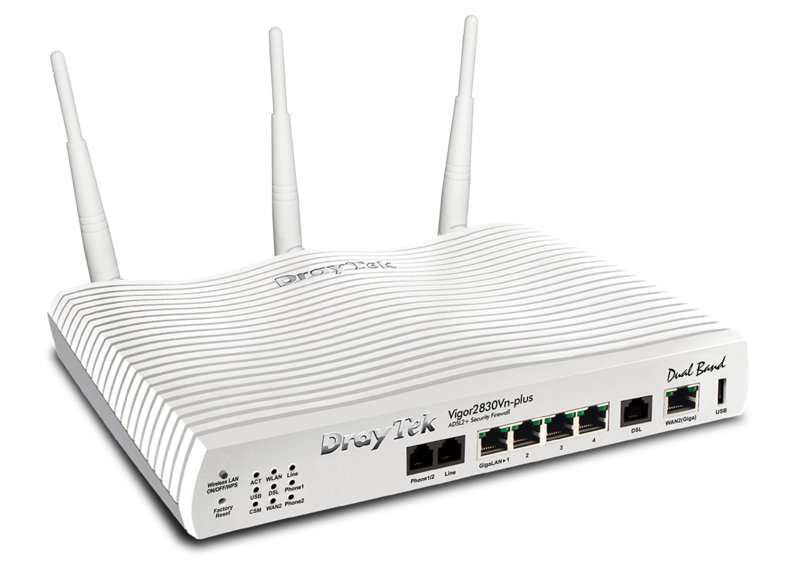 Selectable 5G/2.4GHz configuration of Vigor2830n-plus and Vigor2830Vn-plus provides extra choice for SMB to build the WLAN network. In addition to the common 2.4GHz frequency, SMB can configure WLAN network on less congested 5GHz spectrum. 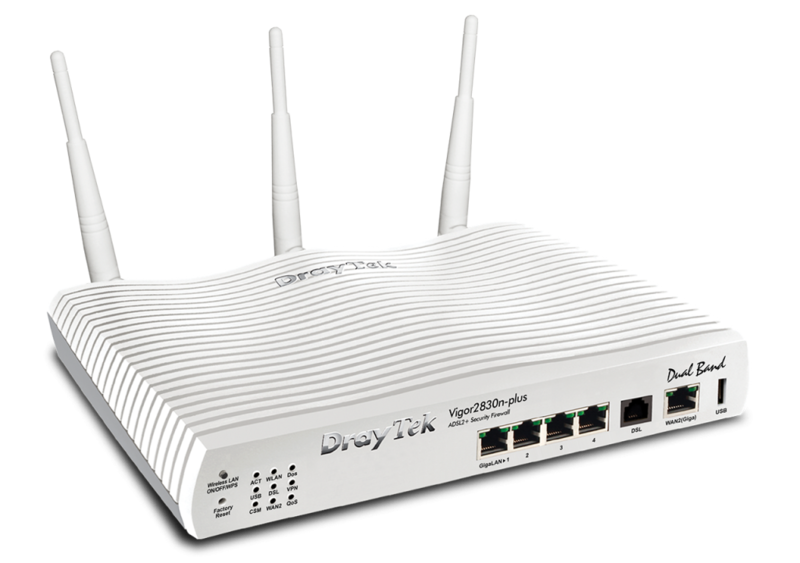 The version 3.3.7 firmware of Vigor2830 supports 30-Node DrayTek Smart Monitor Traffic Analyzer which enables you to analyze in great depth your Internet traffic, as a professional aid to improving efficiency and detecting potential problems.